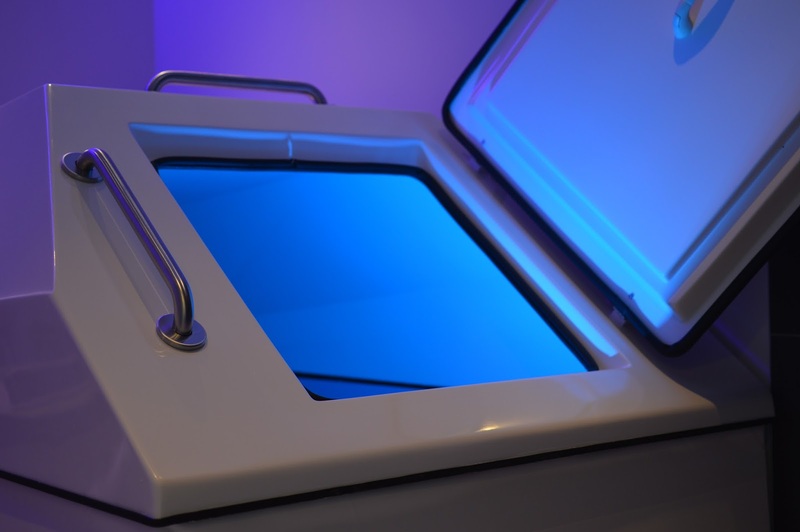 Float Therapy, or floating, has become a hot topic in the world of health and wellness, with floatation tanks increasing in popularity across the continent. 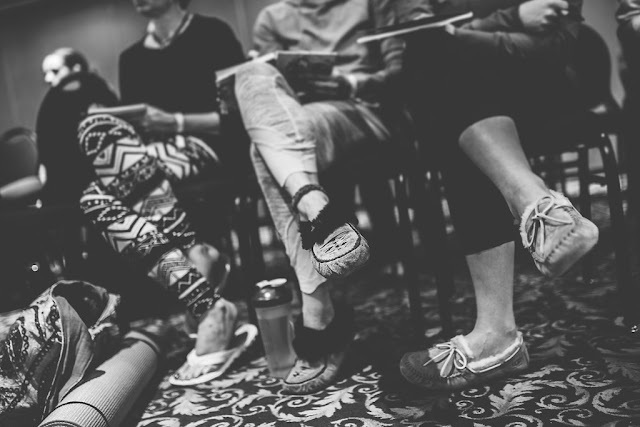 This avant-garde therapy and its benefits are making waves with athletes to heal and prevent injury, busy executives as a form of stress relief, and those seeking to tune into higher levels of consciousness. Floating can also have specific benefits for us yogis. I met with Leah and Brad, owners of Winnipeg's most serene floatation therapy centre, Float.Calm. They are the cutest vegan love-birds, yogis and they believe in the benefits of R.E.S.T. (restricted environmental stimulation technique) whole-heartedly, having witnessed spectacular transformation in their guests since opening their doors a year ago. They explain how floating and yoga can work hand in hand to compliment each other to create a holistic, happy, and healthy life. If you've tried to meditate for even ten minutes, you'll know that sitting with yourself, in stillness, is not an easy feat. This tends to be the feeling for most of us westerners, who live in the age of the glorified go-go-go lifestyle. Mediation is scientifically proven to have incredible benefits for both body and mind. Part of these benefits stem from the healing aspect of tuning into theta brain waves, the frequency of deep relaxation that occurs during prolonged meditation and REM sleep. In this state, the brain can heal the body, process information efficiently, and relax deeply. It can take four to seven hours of meditation to achieve this state of consciousness, that lies on the spectrum somewhere between asleep and awake. And while we can all benefit and heal from a theta brain state of mind, committing to a prolonged meditation practice isn't feasible for everyone. "Floating is like meditation on training wheels. It allows people who aren't meditators to get into that meditative state without trying or sometimes even understanding what it means to meditate," explains Brad, noting the accessible and quick way that floating attunes the mind to the theta brainwaves rhythm, which can happen after as little as 45 minutes in the floatation tank. Yin is the calming feminine energy that is reflected in the moon, darkness, and water, while our society tends to value the more masculine yang qualities of characterized by the sun, strength, and activity. The truth is, we all could use a little more yin. "I think people have lost the balance between yin and yang in their lives. The balance of rest and activity, darkness and light. Floating is one of the holistic ways that they can begin to get that balance back," notes Brad, offering that floating is especially a wonderful compliment to the more active styles of yoga such as vinyasa (flow) or hot yoga. Along with stillness, darkness, and connection, the yin qualities that we can manifest in the float tank are those of self love and compassion. "Through the practice of floating, as in meditation, you will develop self awareness and self acceptance," notes Leah. Love savasana? Who doesn't?! 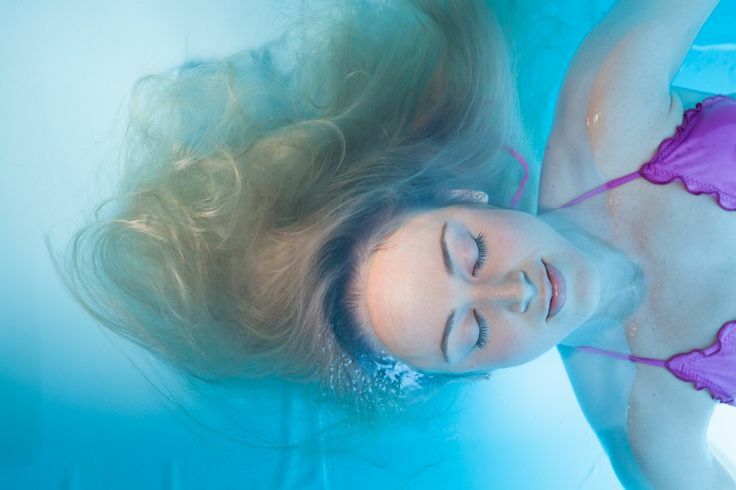 Floating is like a 90 minute naked savasana in a dark, warm pool full of healing, pharmaceutical grade espon salts. This creates the sensation of weightlessness and promotes complete and total relaxation of the body and mind. "A lot of guests will come to float right after a yoga class," says Leah, "As they are already in a state that is conducive to relaxation, having melted away some of that nervous, anxious pent up energy that you have stored up in your body through the practice of asana." If you practice at a studio, you've probably heard your instructor invite you to stay in stillness after class for as long as you can. This is because the benefits of your practice soak into your body in while it is in stillness. Being in a weightless environment, without any distraction, soaking in the mineral benefits of 850 lbs of epson salts and the metal benefits of stillness is the ultimate savasana. I personally got to experience a float in their tanks, which are clean, warm, and welcoming. The staff is super helpful and informed. The primp area with decadent lotions, fluffy white robes, and a post-float tea lounge add a spa element to this self-care ritual. If you're curious about floating, I'd recommend giving it a try, and see what comes up for you. 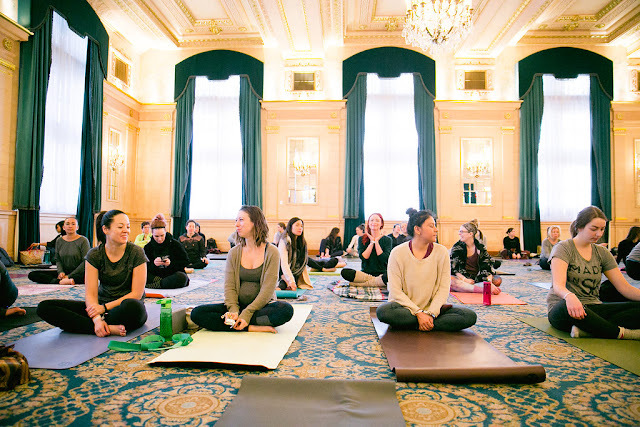 Just like your yoga practice, it's a personal experience, with benefits that deepen overtime. LOTS OF LOVE TO FLOAT.CALM FOR BEING A SILVER SPONSOR AT THIS YEARS' PRAIRIE LOVE FESTIVAL! THE FLOAT LOUNGE WAS A HUGE SUCCESS. ATTENDEES - CHECK YOUR GOODIE BAG FOR A SPECIAL OFFER ON YOUR FIRST FLOAT.